Some shots just take a bit longer. Long exposure shots are some of them. Usually they are taken using exposures of several seconds or minutes. Other take longer, much longer. Just like this one. About a year ago, I got myself my first ND filters to be able to do long exposures. I always loved these black and white, minimalistic shots, specially those of Athena Carey. Shots of calm, milk like water and a horizon that vanishes into nothingness. Not that simple to achieve, if you live at a lake and your horizon is the other side of the lake. 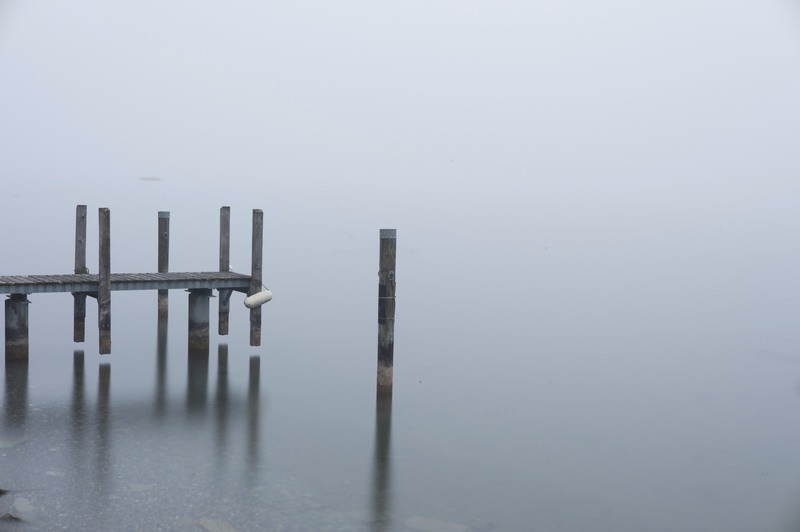 While we often have low cloud ceilings in winter, it is not so often, that thick fog is covering the lake. So I had to wait for the right moment. And wait. And then wait some more. Last week circumstances were finally right and I got the shot I had in my mind for more than a year. Wonderful minimalistic image, I like it a lot!